EXTECH’s daylighting systems are well suited to harsh aviation environments and have been used in numerous hangar projects throughout the United States and Canada. 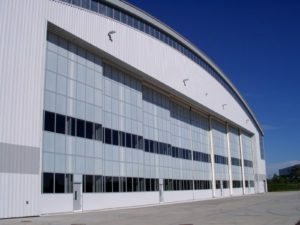 Hangar doors must offer a lightness and flexibility that allows the support structure of the hangar to hold their weight while maintaining superior impact-resistance. Polycarbonate is an ideal material in this regard – it is extremely lightweight and durable, unlike glass. We work with the leading door manufacturers and detail our systems for a majority of door types, including sliding, vertical lift, bi-folding, and tailgate hangar door systems. EXTECH’s systems can incorporate full polycarbonate glazing or a mixture of polycarbonate, vision glass, and metal panels. There are many benefits when using daylighting systems in your applications. Translucent walls for aviation hangars allow maintenance crews to work in the glow of natural light while owners and lessees save money on energy costs. EXTECH’s translucent wall systems are built with our 40+ years of experience and have been designed to deliver leak-proof, impact-resistant durability and a long lifespan. Each system is fabricated to meet your needs and facilitate easy, seamless installation. For retrofit applications, quick installation times result in minimal impact on flight schedules and aircraft duties. The polycarbonate glazing utilized in our systems reduces glare and reflectivity that can cause loss of vision to pilots and maintenance personnel. There is a multitude of translucencies and colors to choose from, and polycarbonate can be diffused at various levels to create as soft a glow as you need. Proper daylighting system design is critical for aviation facilities. Because the sun is always moving, the effectiveness of daylighting systems can vary greatly depending on the orientation of the building and design of the system. EXTECH regularly performs daylighting studies for airport hangars to ensure they can harness the optimal amount of daylight that will illuminate the facility without causing solar heat gain or inflicting a heavy demand on the HVAC system. Our engineers simulate hangar designs in a virtual setting that analyzes hangar orientation and considers the times of day when maintenance on aircraft is in full swing. 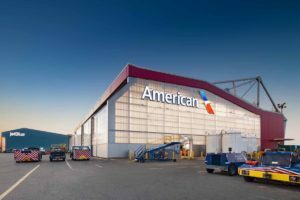 This removes any doubt over daylighting’s potential to illuminate the hangar when lighting is most needed, and allows architects and lighting designers to protect how much supplemental electrical lighting is necessary. EXTECH is experienced in retrofit projects that require the emulation of a historical system or a redesign that can accommodate newer and larger aircraft. 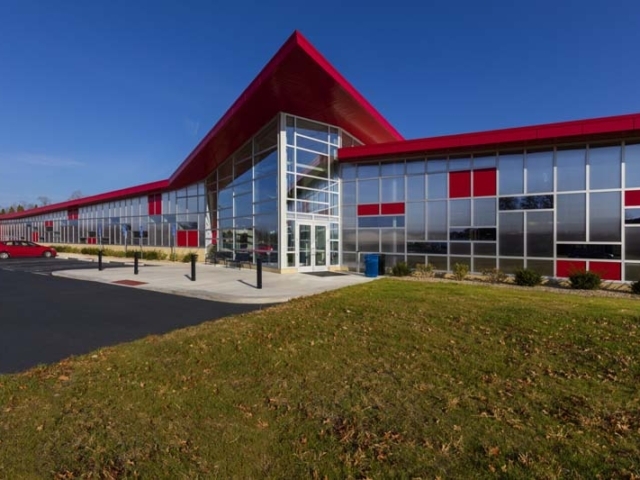 We have created custom facades that mirror the look of steel sash and corrugated wire glass facades and thus maintain the historical aesthetic of the hangar. 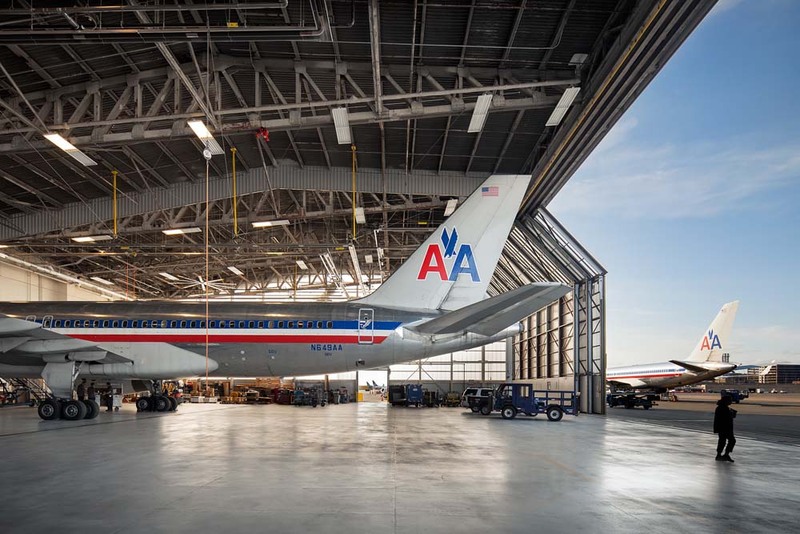 Aircraft have become larger and more complex than they once were, and existing hangar facilities often need to be retrofitted to accommodate these massive planes and maintenance challenges. Our translucent wall systems are ideal when retrofitting hangars - the full fabrication and detailing ensure the façade will integrate with the original structure, and polycarbonate’s durability and resistance to yellowing guarantees the system’s long lifespan. Hangar daylighting systems must shield expensive aircraft from wind, precipitation, and UV radiation as well as endure jet wash, maintenance activities, and the impact of large objects. 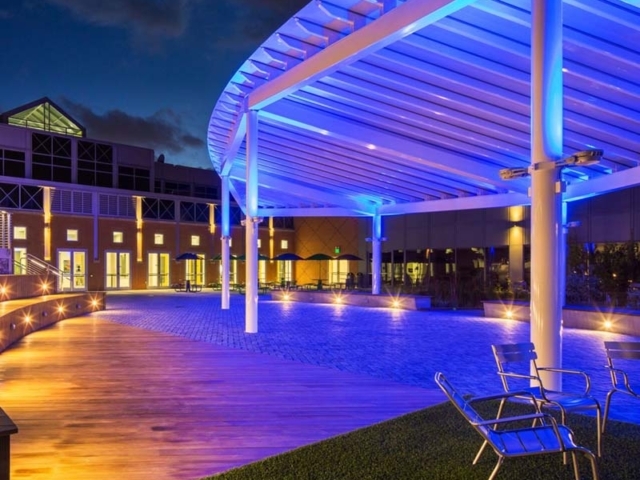 EXTECH’s translucent wall and skylight systems are designed to withstand hurricane-force winds by incorporating polycarbonate glazing that is up to 200 times stronger than standard glass. Additionally, our systems incorporate a co-extruded UV protection layer that resists ultra-violet radiation (which can peel paint on planes). Translucent daylighting systems enable hangar owners and lessees to save money on energy costs by incorporating natural light illumination into their hangar design. Additionally, they provide superior insulating value (as compared to insulated glass units) thus reducing demands on the hangar HVAC system. 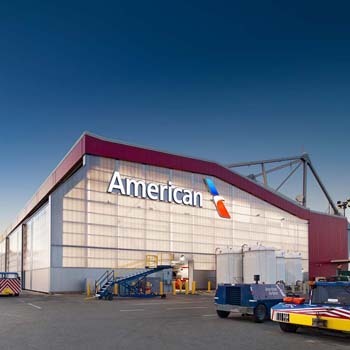 Our systems’ daylighting capabilities and 100% recyclability lend themselves to LEED certification and sustainable hangar design, which are key components in reducing the environmental footprint of aviation buildings. Because aviation hangars are tasked with protecting multi-million-dollar aircraft, they are held to a litany of code and testing requirements, including FAA, NFPA, and (if used for military purposes) UFC Department of Defense Standards. 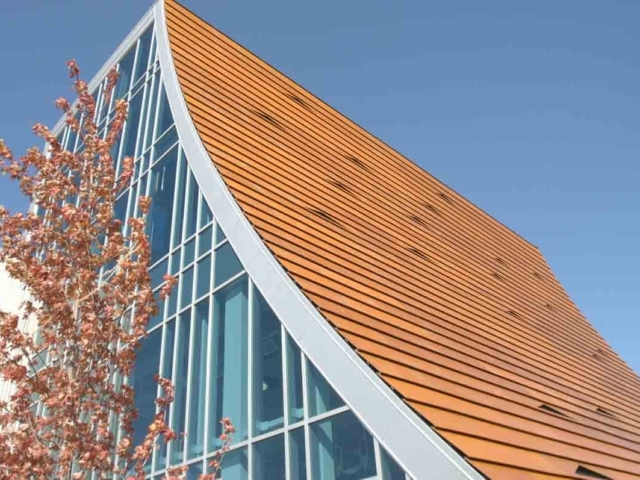 EXTECH’s translucent wall systems meet industry flammability standards and offer polycarbonate glazing options that carry a Class A fire rating (the best there is). To find out more about EXTECH’s experience delivering systems for aviation applications, see our hangar case studies or contact us for more information.